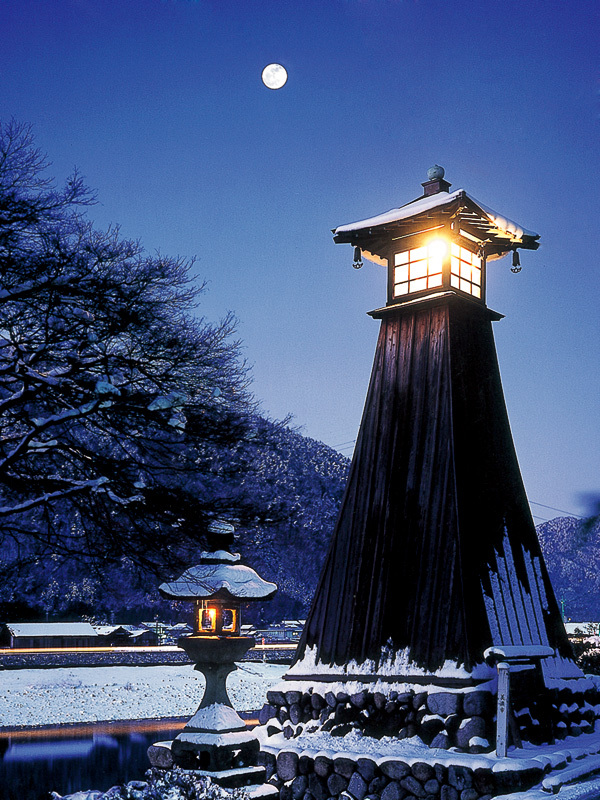 This is a gold award-winning photograph from the Mino City Tourism Photography Contest. This type of beautiful scene can be seen on summer evenings. The harbor is covered by a sprinkling of snow. During the evening hours, the candles are lit to create a warm atmosphere. 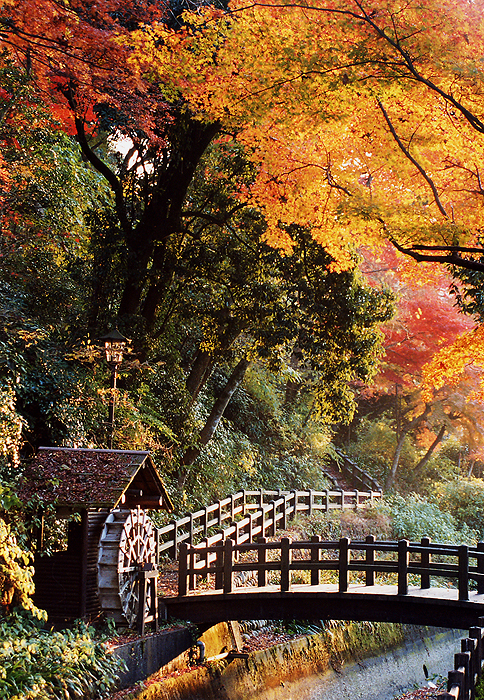 A stream turning the watermill and the river harbor in autumn colored red by Mt. 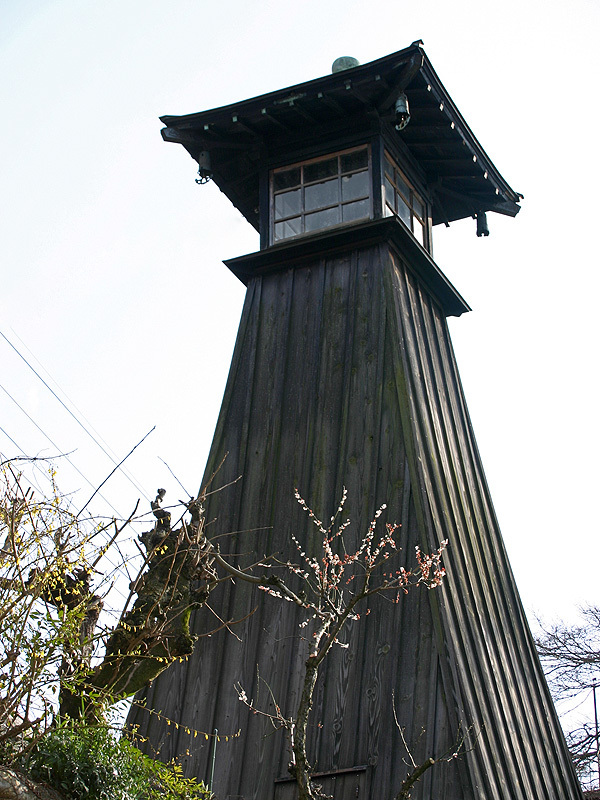 Ogura. A harbor was constructed here by Nagachika Kanamori as an entry for transported materials. 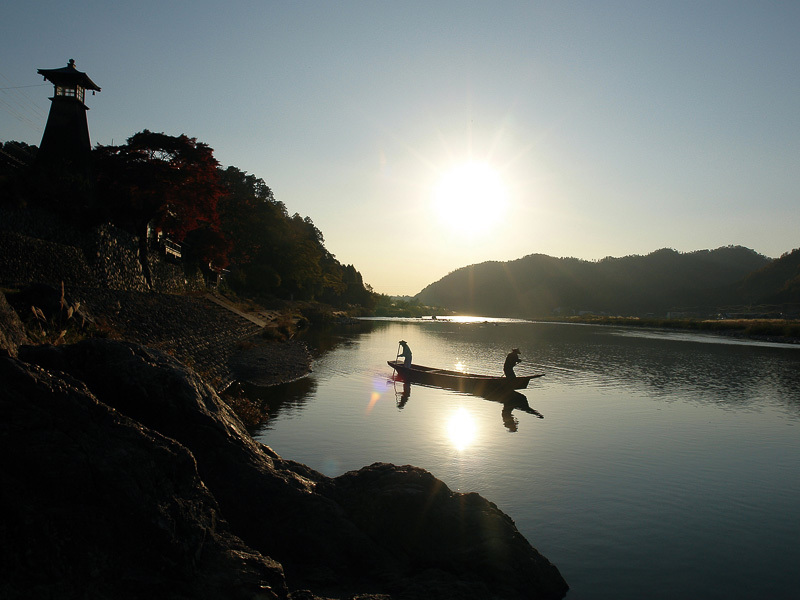 At the time, 40 river boats could be berthed, making it a hub for transportation down the Nagara River. From the Edo Period until the end of the Meiji Period, the area flourished as a center for the distribution and transportation of regional goods. 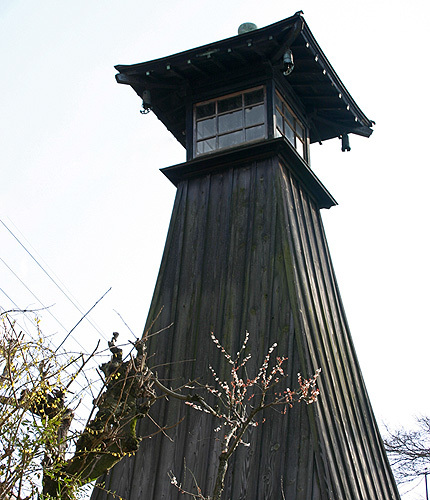 The area was active until the 44th year of the Meiji Period, when trains began operating. Stone steps leading to boat moorings and nine-meter-tall river lighthouse, Sumiyoshi Shrine, where prayers were offered for the safety of the boats, and stone lanterns, which during the Bunka period were presented by associations in Gujo, all bear testimony to the past.